Experience can be the best teacher. We are proud to use the Redbird MCX to provide the powerful hands-on experience you or your students will need when up in the air. With the Redbird MCX you’ll get a level of realism unavailable from any other simulator on the market. The Redbird MCX features dual yoke, dual rudder training configured for Crew Resource Management and two pilot cockpit training. 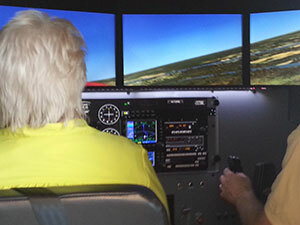 The +200° wrap-around visuals, enclosed cockpit, and electronic motion platform are just a few of the features that put this simulator in a class all its own. 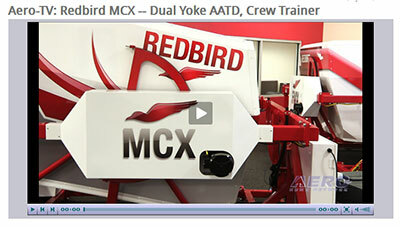 Click above to watch Aero-TV’s recent coverage of the Redbird MCX. 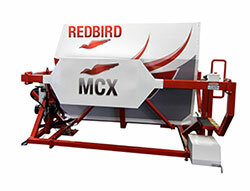 For more about the MCX, see RedbirdFlight.com.